Rest in Listvyanka is primarily inexpensive housing for rent with a necessary and sufficient set of conditions for comfortable accommodation. To make your rest on Baikal unforgettable, we have prepared a list of ideas on how to make rest in Listvyanka interesting at all seasons of the year. Listvyanka with its surroundings is a region where life does not cease all year round. What to do here, besides hikes along the shores of Baikal? Listvyanka is the microcosm with lively areas and islands of silence. Our house is located in a silent part of the settlement, and the center of tourist life is the pier. Here you can dine in one of the restaurants overlooking the water, sit in a waterfront gazebo, buy gifts to your relatives in the souvenir market and register in excursions. Nearby is the Museum of Gemstones and Nerpinarium, on foot you can walk to the picnic zone in the pine forest and the Observatory. In the opposite direction is the Cross Pad with the Retro Museum in the open air, with the beautiful and bright St. Nicholas Church, and the Krestovka river, where earlier prospectors washed gold. In fifteen minutes of driving from our house, near the source of Angara, there is Baikal Limnological Museum. 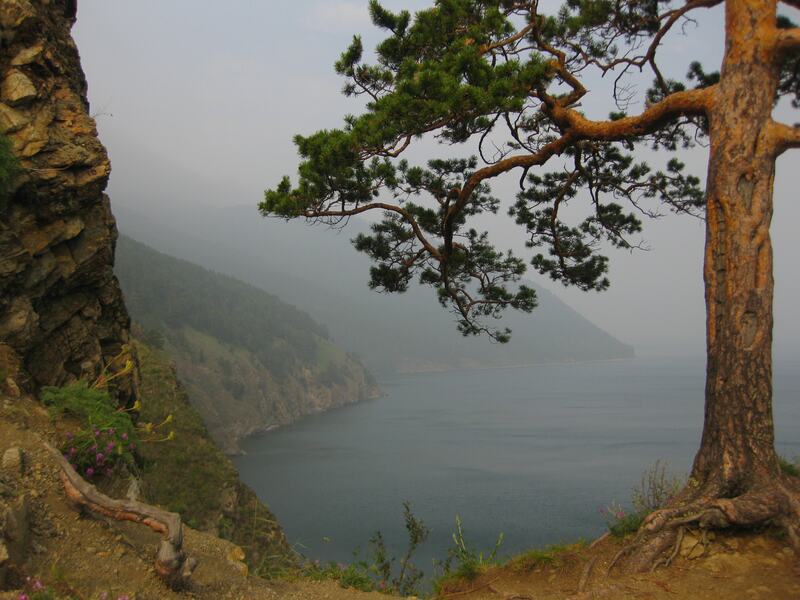 Do you want to know everything about Baikal? You here! After you get tired of maps, reports and calculations, plenty see enough of the inhabitants of the lake, swimming in giant aquariums, you can make an imitation dive in a bathyscaphe to the bottom of the lake (plus lecture). At the exit, there is a nice arboretum as a bonus. And if you go further, then in 20 km from Listvyanka will be “Taltsy”, it’s the architectural and ethnographic museum in the open air. This is the real town from the ancient fairy tale: tower-rooms, homesteads, yurts and towers are designed to show what life was with our ancestors. Here people make films, spend national holidays in a big way, arrange master classes for children and adults. Every day from the pier of Listvyanka dozens of water trips are made, and barkers tear out voices, enticing tourists on board. Don’t refuse! Walk by a large boat “Barguzin” with upper deck seems in retro-style as if returns in times of childhood, and a high-speed trip on “Rocket” can be combined with a walk through the settlement Bolshie Koty. Independent tourists hire a private boat that will go in any direction: it is necessary only to wish. 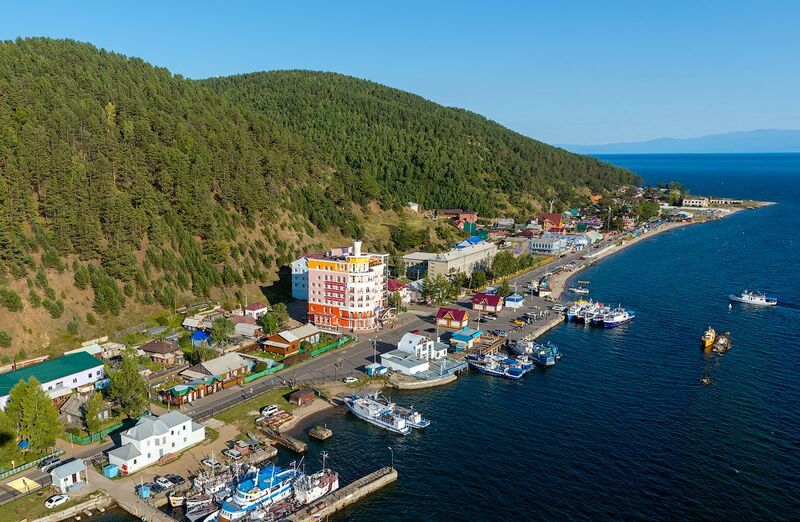 Water excursions to Sandy Bay are organized (thanks to wonderful sandy beaches and warm water, where you can swim, it was called the Siberian Riviera) and excursions by boat to the Circum-Baikal railway (it is also possible sail to the ferry). The main thing – don’t forget warm clothes, it is possible to be chilled to bones in open water. There are tourists who seek to get away from civilization and all day and night wander about a taiga and mountains. Hiking is an integral part of the ecological rest in Listvyanka. 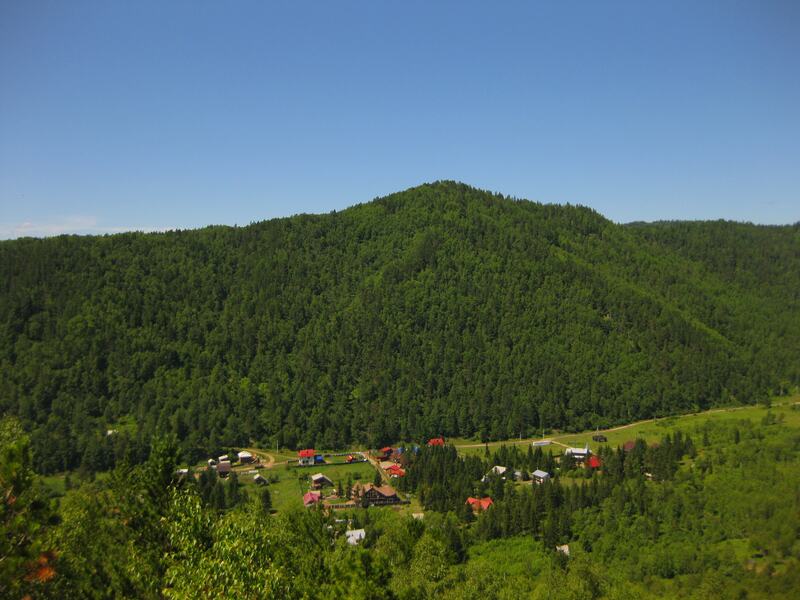 One of the popular trekking routes passes from Listvyanka to the settlement Bolshie Koty. This route, by the way, is a part of the international project “The Great Baikal Trail”, on which Russian and foreign volunteers work. Their goal is to create the Russia’s first system of ecological trails. 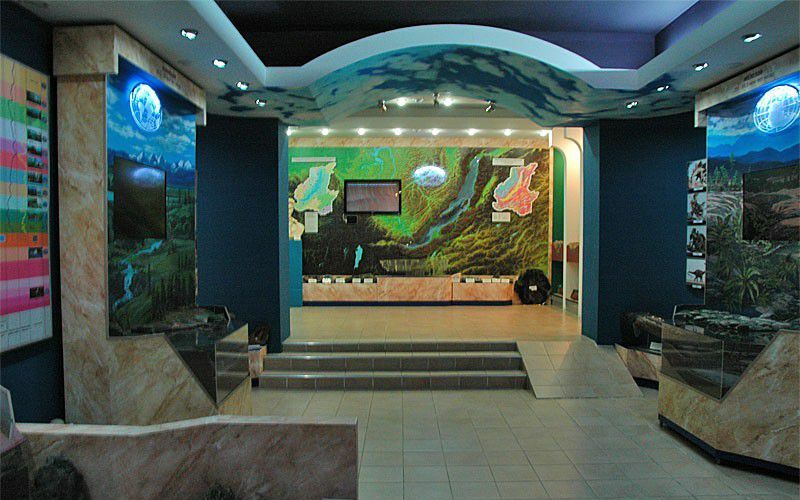 Tropical seas, sooner or later bother: thousands of divers have chosen Baikal, and the dive center is also in Listvyanka. The bottom of Baikal and its fauna are not as multicolored as in the southern waters, but the ancient lake enchants with riddles. Underwater caves and canyons, the remains of sunken ships, the stiffened lava of ancient volcanoes – that attracts scuba divers here. Between Listvyanka and the settlement Bolshie Koty, divers discovered the largest underwater cave on the lake, that ends with a hall. Divers like also steep underwater walls along the western shore of Baikal: there you have an amazing feeling of flying over the abyss. The most beautiful are the walls along the shore of the Circum-Baikal Railway: the depth of the underwater canyons here reaches 70 meters. The most beautiful are the walls along the shore of the Circum-Baikal Railway: depth of the underwater canyons here reaches to 70 meters. Perhaps, this is the most romantic place on the lake, and it is necessary to include it in the rest plan on Baikal. The section of the Trans-Siberian Railway, built before the revolution, was called “golden buckle of Russia” for fabulous sums invested in construction. But there a wish to call this golden road for its extraordinary beauty: by dotted line bending around the coast of Baikal and clinging to the rocky cliffs, the excursion retro train rides forward. It is possible to look in a window, and you can watch the movie about Baikal, which is shown in the railway carriage. 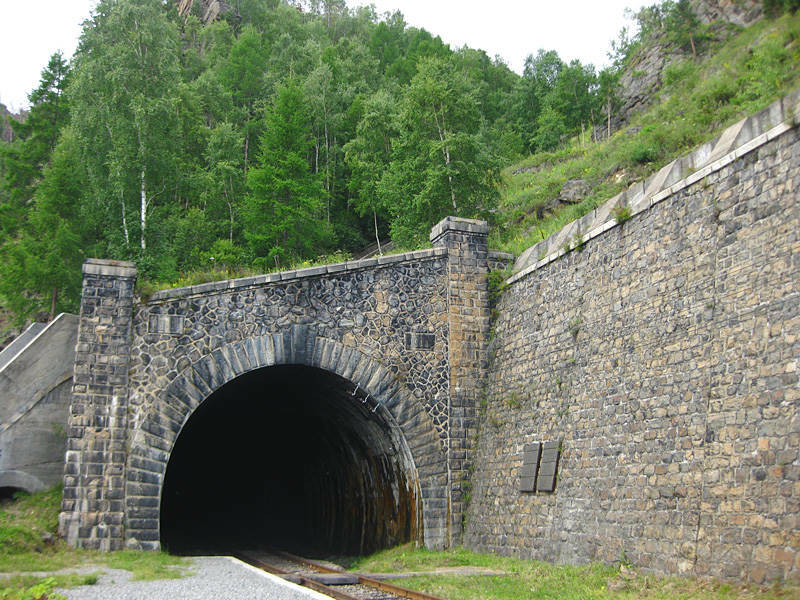 During the stops there are small walking trips, because the tunnels and galleries of the railway are considered as architectural masterpieces. However, if you don’t want to buy a tour, you can get to the road yourself, having crossed on the ferry from Listvyanka to port Baikal. The cost of accommodation at us, photos of rooms and much more you can find in the special section Rooms, prices. We will be glad if you join our groups on Facebook and VKontakte and leave a review about the trip or share your photos.